1. What is the primary objective of the Overseas University Programme? The University Programme aims to increase access to world-class institutions and create well-rounded individuals by providing scholarships for candidates to pursue tertiary-level studies at leading universities in the US, UK, Australia, with a focus on niche or specialty subjects not typically funded by other sponsors, e.g. current scholars are studying music, women’s studies, aerospace engineering and sustainable development. 2. What is the value of the Overseas University Programme scholarships? Scholarships will cover partial costs of the total tuition fees and living expenses as estimated by the university. The award value for undergraduate studies is 50% of the total programme cost with a cap at RM120,000 per year and for postgraduate studies is 75% of the total programme cost with a cap at RM190,000 per year. 3. Are there preferred institutions for the Overseas University Programme scholarships? The scholarship is open to all Bumiputera applicants who have received at least a conditional offer to any of the leading international universities as ranked by the Times Higher Education or other recognised global university rankings. 4. Does YDD help scholarship applicants to secure a place at the institution? No, all applicants are expected to obtain their own college or university admissions. 5. Will scholars be bonded? No, scholars will not be bonded upon completion of their studies. 6. Will scholars be automatically considered for successive scholarship programmes? No, those who wish to be considered are requested to submit their application and will be reviewed as fresh candidates along with other applicants. 1. Who are eligible to apply for the Overseas University Programme scholarships? 2. What are the areas of study covered by the Overseas University Programme scholarships? Other recognised global university rankings. The league table per subject may vary based on total number of institutions reviewed in the ranking. 3. Can applicants with admission to a part-time university courses apply to the Overseas University Programme scholarships? 4. Does the postgraduate scholarship cover professional and technical certificate programmes? The postgraduate scholarship covers full-time Master’s and Doctorate degrees only. 5. Can applicants who have already started university courses apply? 6. Is there a minimum grade that scholars need to maintain? 7. How do overseas scholars fund the balance cost not covered by the scholarship? Given that the undergraduate and postgraduate scholarship for overseas study only cover partial total course amount, scholars are encouraged to pursue other forms of bursaries, loans, grants from other organizations or financial assistance from family to support the balance cost. 8. What other requirements must applicants meet for the overseas scholarships? 1. How can one apply for the Overseas University Programme scholarships? You can go to ‘Apply Now’ page on our website to complete the online application form and follow the application instructions. Please note that this form is only available online. 2. When can applicants start applying for the University Programme scholarships and when will they know if they have been successful? Please check the announcements on our website, Facebook and Twitter pages for scholarship selection period and submission deadline. 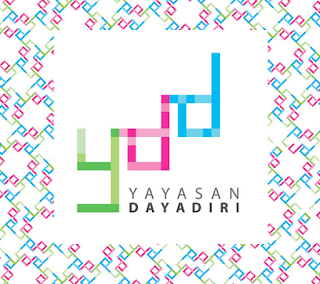 YDD conducts its final selection in May and November each year (depending on university programme start). Shortlisted applicants will be notified within four weeks after the application closing date. For applicants seeking admission to later academic intake, we would encourage you to first gain admission before applying for this scholarship. 3. Do I need to submit separate application if I have received conditional acceptances from multiple universities? No, applicants are required to submit their application based on their preferred university and course of study, and may confirm their final selection after receiving unconditional acceptance from university. 4. What happens if I have not secured a place in any college or university? 5. Do applicants need to mail their certificates in to YDD? 6. Can I appeal your decision if I am not shortlisted?